Slavery Found Within Nestle's Seafood Supply Chain ... Now What? As consumers, we are well familiar with nasty headlines decrying corporate scandals: Ikea using forced prison labor to make furniture; Patagonia sourcing wool from animal-cruel ranches; Volkswagen deliberately cheating U.S. diesel emissions tests. And this week's egregious corporate crime: Nestle's seafood supply chains use trafficked and child laborers. After commissioning an independent study with nonprofit Verite, Swiss multinational Nestle S.A. announced that Verite had found indicators of forced labor, trafficking and child labor within Nestle's seafood value chain in Thailand. The $140 billion global seafood industry is no stranger to controversy and has come under intense scrutiny in the past year, with numerous news outlets highlighting the industry's abuses in human trafficking and slave labor. In Thailand alone, the country's fishing industry faces an annual approximate shortage of 50,000 sailors, a gap typically filled by Cambodian and Myanmar migrants whose poverty and unregistered status leave them especially vulnerable to traffickers. Verite lauded Nestle for its initiative in undertaking the study and revealing its findings, and the company has quickly committed to eliminating forced labor in its Thai supply chains and has urged others to do the same. Given that the spotlight still hovers on the seafood industry and Nestle, that reaction is expected. But what happens once media attention shifts, as it always does, to a different industry and corporate culprit? How a company internalizes this responsibility and who leads its vision for change is a significant factor in determining the longevity of the company's sustainability strategy. One notable success story is that of outdoor clothing company Patagonia. Founder, rock climber and environmentalist Yvon Chouinard engrained into the company the value of sourcing products using fair labor and paying living wages. The company has an internal Social and Environmental Responsibility team and works with reputable external auditors who monitor Patagonia's overseas facilities and supply chain. The costs from sourcing fair trade supplies, paying fair wages and training its production workers are reflected in higher retail prices for Patagonia's products. Despite these higher prices, the company's target and loyal consumer base is willing to pay a premium for the quality behind the brand. Patagonia's permanent integration of responsible business as core to its company ethos and operations has made it the gold standard for corporate responsibility. If Nestle internalizes the results from the Verite study and can successfully integrate traceability measures and associated costs into prices that consumers accept, it will succeed in some measure. External factors such as time and politics, however, can impact the progress of a company's well-intended commitments; the global palm oil industry is a prime example of this. Palm oil is an ingredient found in 50 percent of all supermarket products and is a critical export for Indonesia, the world's largest palm oil producer. In September 2014, several global palm oil giants (including Minnesota-based Cargill) signed the Indonesian Palm Oil Pledge, or IPOP, following intense global pressure from consumers and environmental groups to improve their practices within an industry that drives deforestation. One year later, and at the behest of a new Indonesian government, a second group and agreement has been established to alter and replace the deforestation commitments made under IPOP. Previous pledges made by the IPOP company signatories to preserve forests are now in conflict with new land concessions proposed by the Indonesian government, a situation that has proved contentious and remains unresolved. Particularly in Southeast Asia, the unpredictable dynamics of government can halt even the best laid plans. Like the garment and palm oil industries, the seafood value chain of which Nestle is a part includes national and local governments and an immense network of individual farms, boats, boat captains, brokers and other intermediaries. Many of these smaller parties operate using casual and informal contracts or agreements. The complicated nature does not excuse the human rights abuses, nor does it give Nestle and other companies a reason to claim ignorance. It does attest to the difficulty in ensuring a completely sustainable, accountable and abuse-free supply chain. No matter how big the multinational or beloved the brand, a company's value can plummet when scandal breaks. Volkswagen is testament to that. 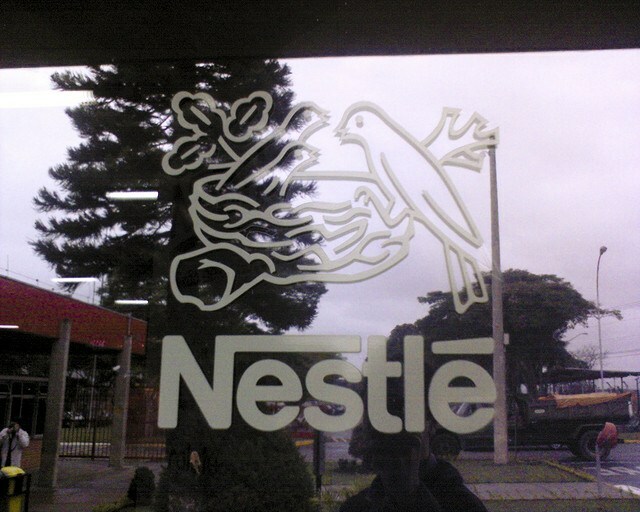 In initiating the public examination of its flaws, and in working with an organization like Verite, Nestle has already gone a more honorable and transparent route than other companies have done. But while it has taken the first step toward being a more responsible company, Nestle's commitment to funding a long-term strategy -- and how it pushes beyond the inevitable roadblocks ahead -- will determine its ultimate footprint and legacy. Marianne Smallwood is a diplomat for the U.S. Agency for International Development and freelance writer based in Bangkok, Thailand. She focuses on international affairs, poverty, social impact, and sustainability. She is a graduate of The University of Minnesota and earned her master’s degree from The Fletcher School of Law and Diplomacy at Tufts University. Marianne tweets at @marianne_is and writes on her blog The Outsidist.